For more than ten years, T&D Garden Machinery have been supplying, servicing and repairing garden machinery in Exeter and the surrounding areas. We deliver a fast, efficient and reliable service to our customers and as our client base has grown so has our catalogue of equipment and gardening tools. Despite our continuing growth we remain a family-run operation and pride ourselves on our personal touch and treat each customer as an individual always bearing in mind that everyone’s gardening requirements are different. We take the time to discuss your needs and are always happy to offer solutions to any gardening problems. Regardless of the size of your garden there are always some little jobs that need tending to and T&D can provide the tools and equipment you require whether it’s a trowel or a chainsaw. Based in Exeter but covering the greater Exeter area, T&D not only sell the best gardening tools and equipment from top brands such as Mitox, Stihl and Tanaka but we also repair and service all makes and models of lawnmowers, hedge trimmers, brush cutters, blowers and chainsaws to ensure everything is running at its maximum efficiency. Petrol chainsaws are the most popular type of chainsaw. A two-stroke gasoline engine powers them. They are very powerful hence ideal for cutting firewood in remote areas efficiently. We sell Mitox, Stihl and Tanaka chainsaws. 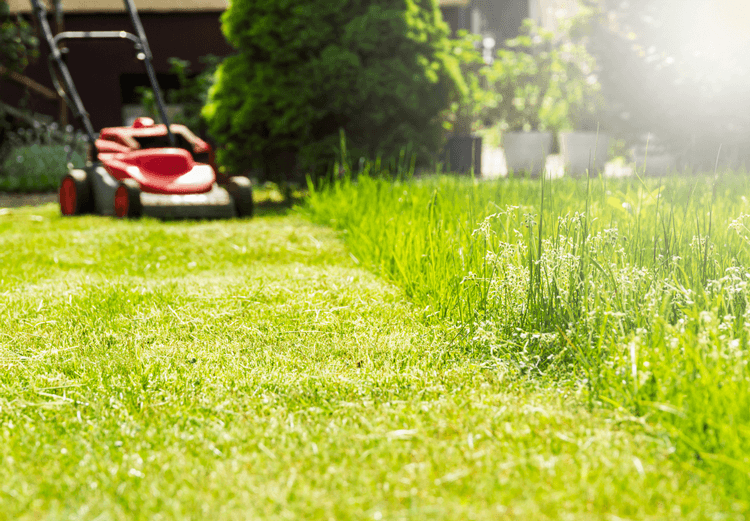 Gardens come in all shapes and sizes, so it only makes sense that our ability to provide quality lawn mowers for Exeter clients should be just as diverse. Customers are able to choose from a wide array of different models. We stock a great range of Mitox strimmers; these strimmers combine value and efficiency with excellent performance and we’re confident that whatever the size of your garden, we’ve got a strimmer to take care of the job. We are stockists of Oregon spares including strimmer line, belts, drives, air filters, spark plugs, mower blades, oil and fuel cans. Whilst we specialise in Spare Garden Tools Exeter area we are happy to travel outside this region to meet our customers’ needs. 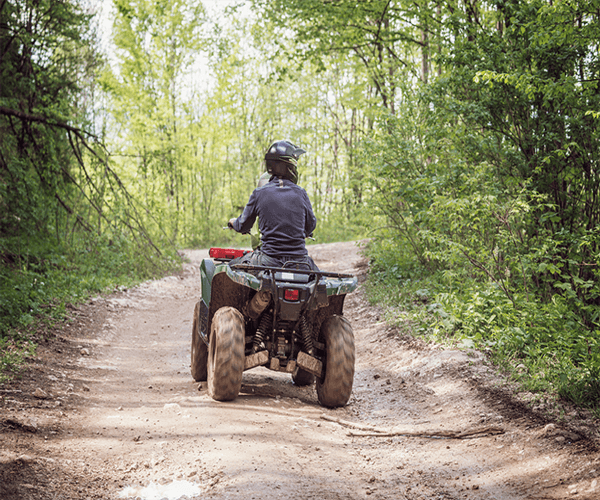 Quad bikes, also known as All Terrain Vehicles (ATVs), are perfect for farmers and large gardens. Many farmers prefer them to tractors because they are quicker and can be used on any terrain. 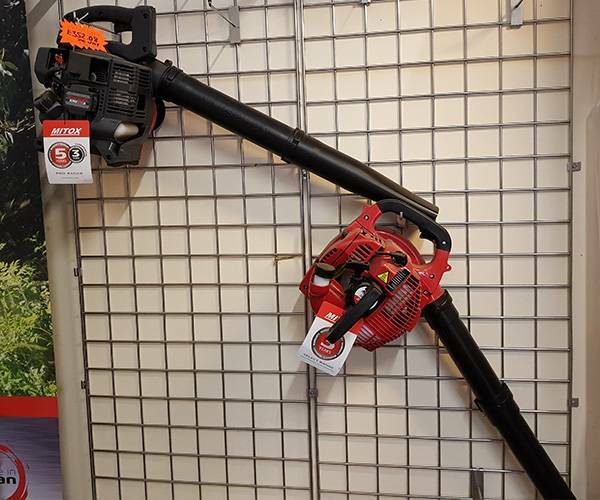 We stock the latest in garden blower equipment in our showroom and includes high-quality brands such as Stihl, Mitox and Tanaka. We stock a variety of blower types from handhelds and backpacks, to electrically powered with battery packs. • Lawnmowers. 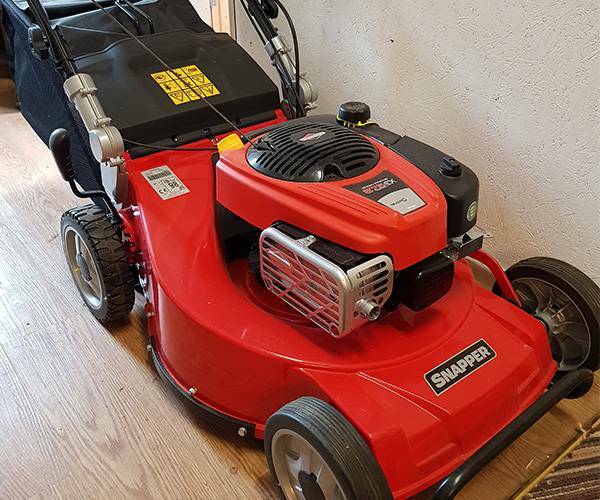 One of the top lawnmower brands is Snapper and that is what we stock at T&D. Choose from a push lawnmower or a petrol or diesel driven mower from our extensive range. • Chainsaws. 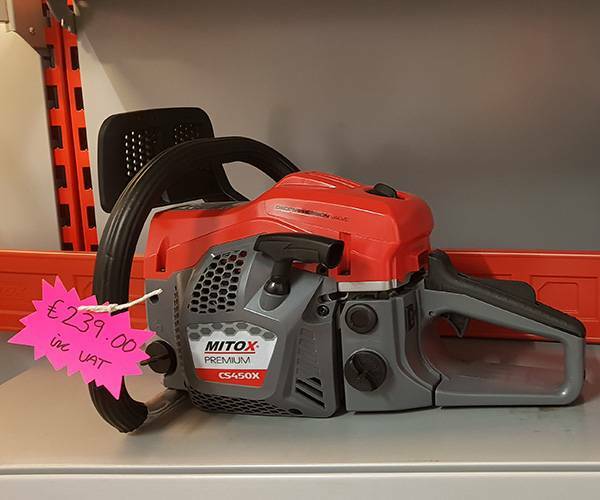 Petrol driven chainsaws from top names Mitox, Stihl and Tanaka are amongst the most robust and reliable available and we carry the full range at T&D. • Strimmers/Brush Cutters. For those more difficult jobs, hedge trimmers and brush cutters are required and we stock only the best from Tanaka, Stihl and Mitox. • Leaf Blowers. Come autumn time when the leaves are falling there is nothing as useful as a leaf blower and nothing easier than choosing from our extensive range of top quality blowers. • Quads. For mowing bigger areas a quad bike or ride-on mower is the ideal solution. At T&D Garden Machinery, Exeter, our main customer base covers three different areas; Domestic, Agricultural and Commercial. Domestically, we have a range of products suiting both small and large gardens. Whether you’re looking for a petrol chainsaw to cut wood or a strimmer to trim your hedges, come in and see how we can help you. Many farmers use our services for agricultural purposes. All our products come in a range of sizes and strengths, to suit your individual requirements. Products used for agricultural purposes are usually bigger and more powerful than machinery used for domestic purposes. For more information on our products drop in and see us, or call a member of our team who will be happy to help. Commercial businesses also frequently use our services. 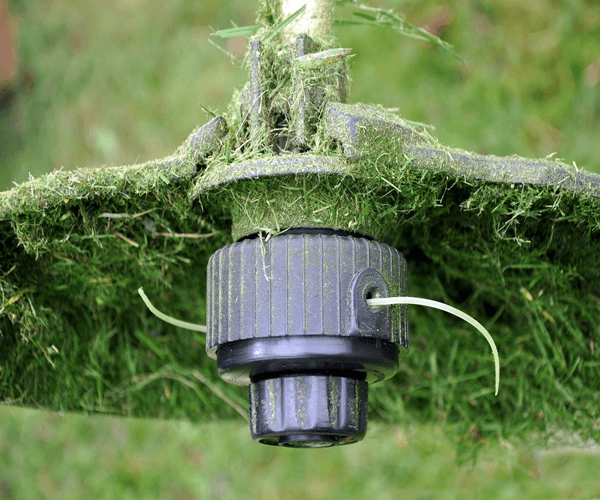 Commercial customers range from tree surgeons to turfing experts. If you are in a gardening based commercial business, why not pop in and see what we can do to help your business. 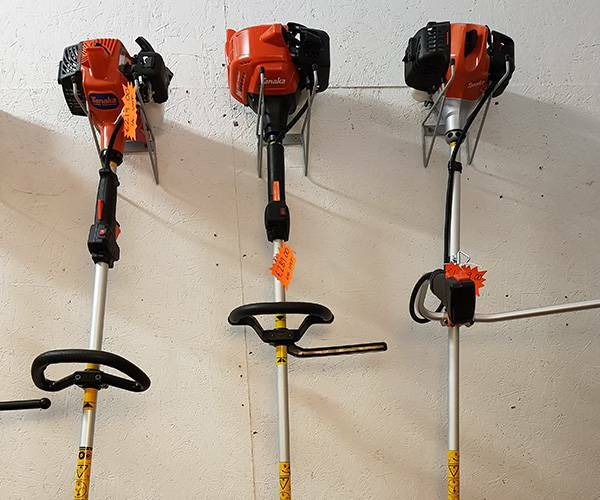 At T&D Garden Machinery we stock and repair a huge range of quality brands including; Tanaka, Stihl, Viking, Honda, Weibang, Husqvarna and many more. Whatever you need we are sure you will find it here at T&D Garden Machinery in Exeter. Why not drop in and see how we can help you or your business. We are local and easy to find, simply come to; Unit 20, Chitterley Business Centre in Silverton or call us at 01392 861501. We look forward to being of service to you! Proudly serving: Exeter, Tiverton, Cullompton,Willand, Broadclyst, Sowton, Cranbrook, Clyst St Marys and Exmouth.